Thought I'd shake things up a bit and do a little color sketch on the computer. 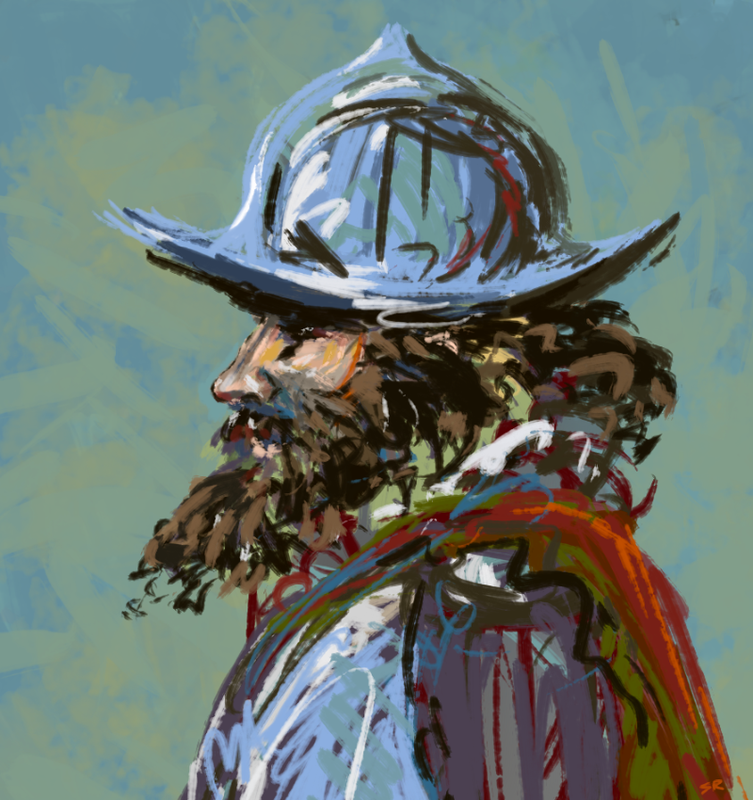 Just a sketch from memory—of a conquistador. He's looking pretty scraggly. My guess is he's been out exploring for a few years. Yet he insists on wearing a metal hat and breastplate. Ditch the solar oven regalia, man! It'll totally make it easier to walk around in the desert!